Home » Facebook » Food n Beverage » Free » Huawei » instagram » like » share » smartphone » tag » F&N King’s Potong "Make My Day" Contest: Win Huawei Nova 2i Smartphone! 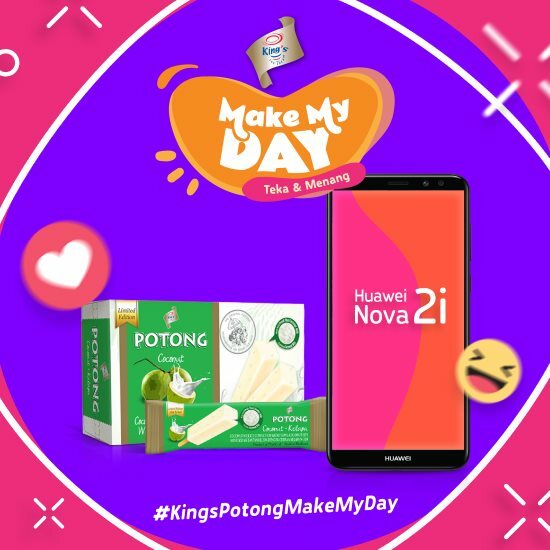 F&N King’s Potong "Make My Day" Contest: Win Huawei Nova 2i Smartphone! “Tag” a minimum of 3 Facebook friends in the comment. Don’t forget to “Share” the contest to friends. “Tag” a minimum of 3 Instagram friends in the comment. Visit "Make My Day" Contest page for more details.